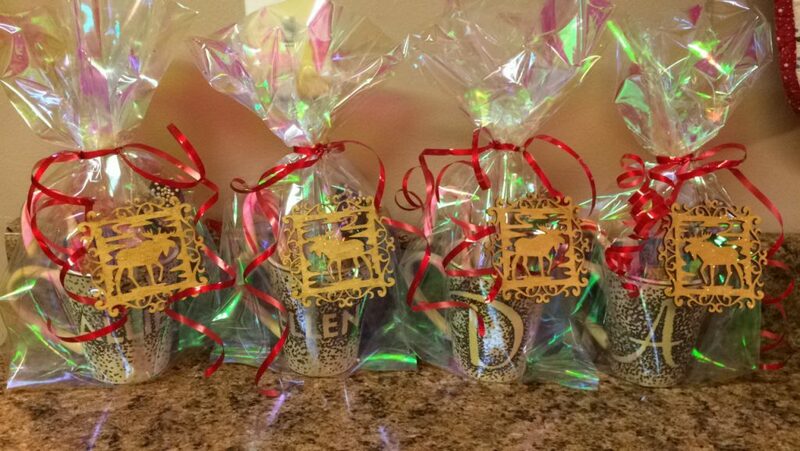 Everyone loves getting homemade gifts for Christmas or their Birthdays. It shows that you made something from the heart and put some of your time into something special. For Christmas I made these personalized mugs for some of the women in my family. 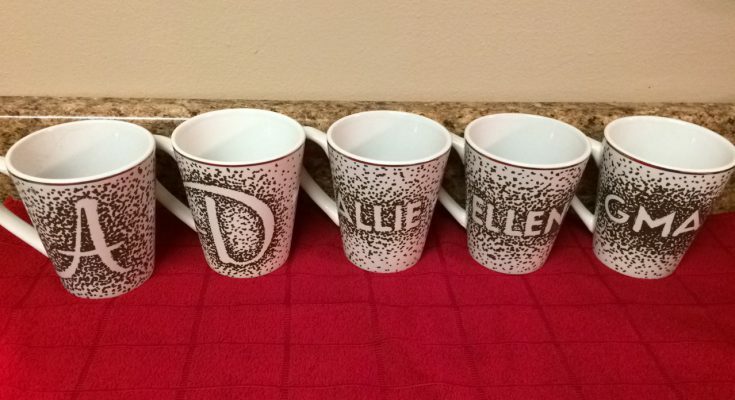 They were super easy to make and I loved being able to put something special together for them. 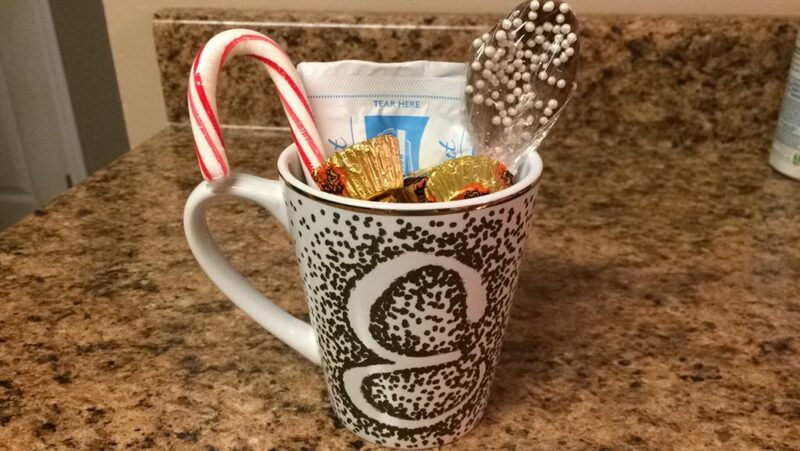 Each mug had a pack of hot chocolate, Reese Cups, a candy cane, and a chocolate spoon so they could enjoy some hot cocoa in their new mugs while it snowed outside. Below is some instructions on how to make these beautiful mugs and give you some ideas of what to put in them! 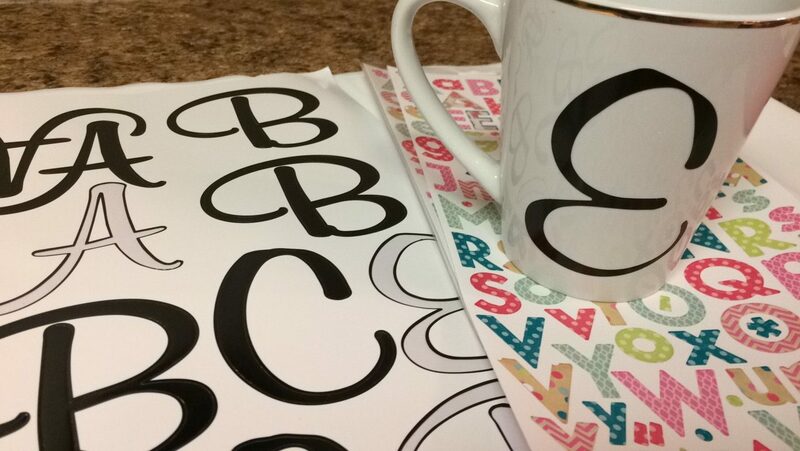 [Step 1]: Apply sticker(s) to mug. Apply the sticker(s) to the mug of your choosing. Then get your sharpie ready for action! [Step 2]: Begin making dots around the sticker(s) with the Sharpie. Start by making dots really close together right on the edge of the sticker(s). As you keep dotting you will slowly start to make the dots be further apart the more you move away from the sticker(s). This is so you get the “fading” out look to it. You can see this in the image below. Once you are happy with all your dots make sure it drys good! Now go to the next step! [Step 3]: Peel off the sticker(s). Once the Sharpie dots are completely dry carefully start to peel off the sticker(s). Don’t be alarmed if some of the Sharpie ran under the sticker(s). That is what the acetone (fingernail polish remover) and q-tips are for! [Step 4]: Clean up the letter(s). If any of the Sharpie ran under the sticker(s) take your q-tips and dip them lightly into some acetone. 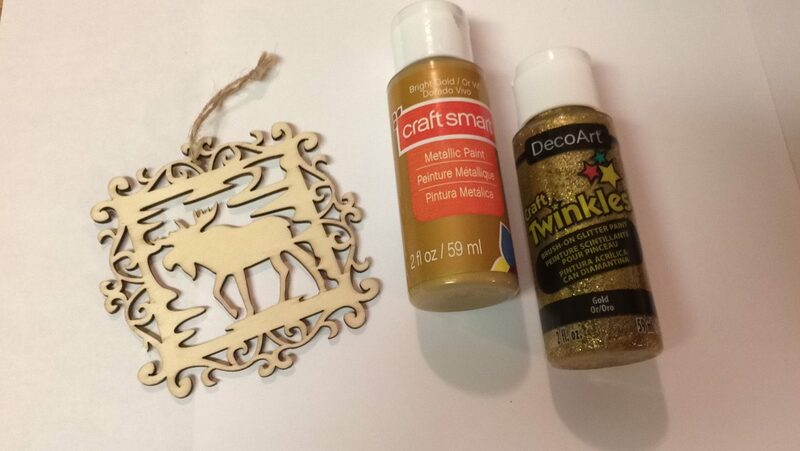 This works really well so be careful not to rub off parts you want to keep. This will help you get a nice clean look to the letter(s). 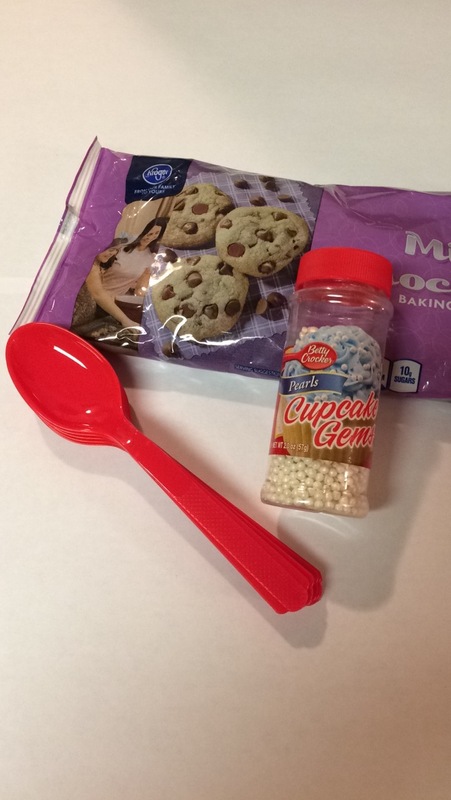 [Step 5]: Bake your mug! 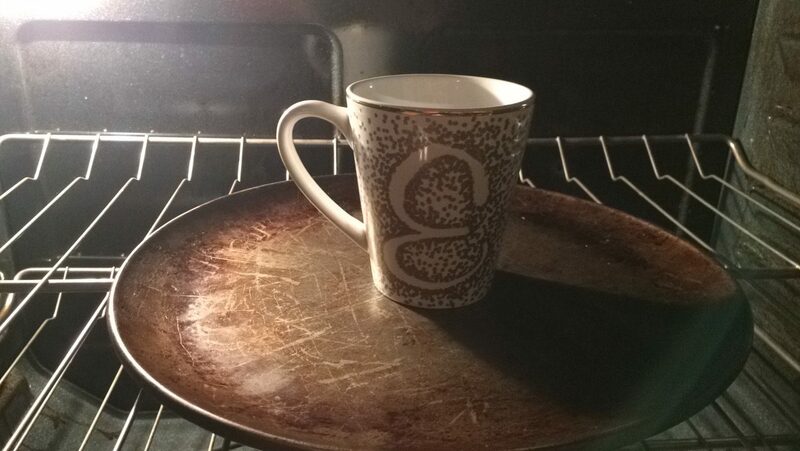 Place your mug on a cookie sheet and stick it in the oven. 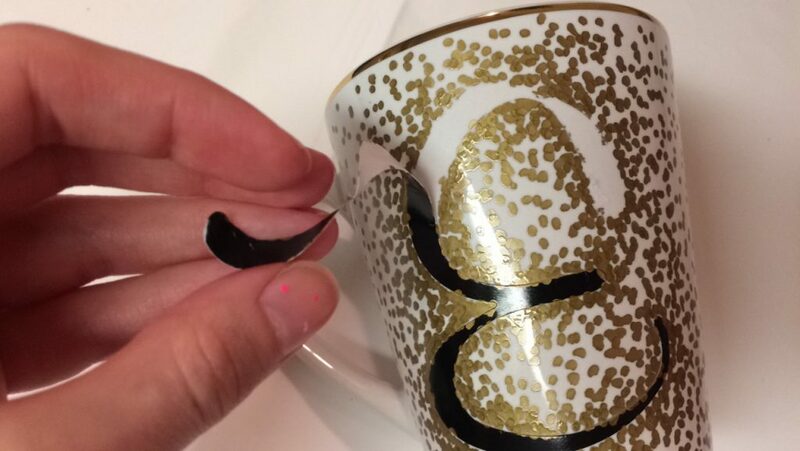 IMPORTANT: You will need to leave the mug in the oven while it pre-heats and while it cools down. After you have placed the cookie sheet and mug in the oven you will start pre-heating it to 425 degrees Fahrenheit or 218 Celsius. When your mug is completely cooled off it should look something like this below! 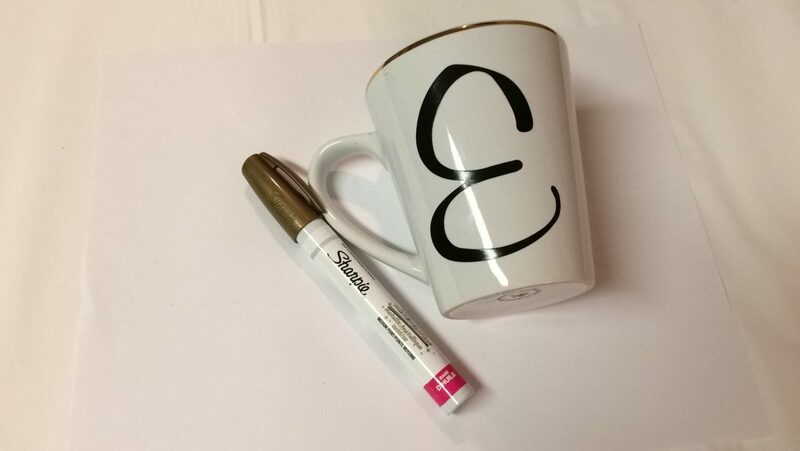 [Step 6]: Put your goodies inside the mug! 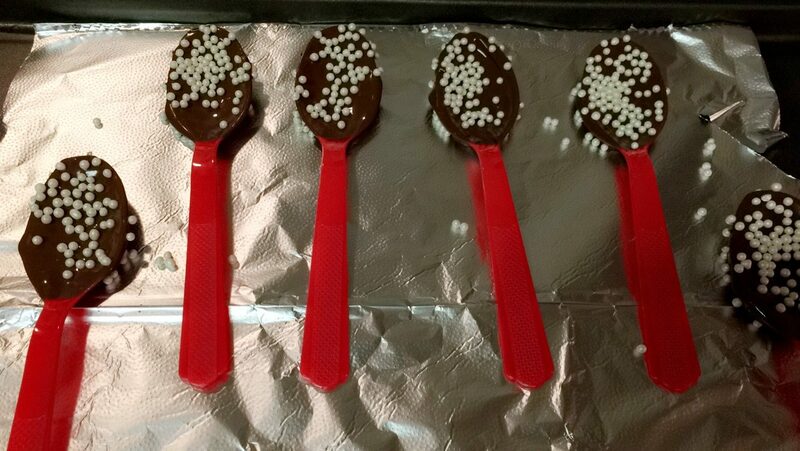 Below I have some instructions on how to make the chocolate spoons and ornaments if you are interested! If not just skip to the end! For the chocolate spoons I melted chocolate chips in the microwave. Just keep putting them in for 40 seconds or so and take them out and stir it until it is all melted. Once the consistency is to your liking you may start dipping the spoons in it. I laid mine on a cookie sheet with aluminum foil and sprinkled some white sprinkles on them to give it a Christmasy look. 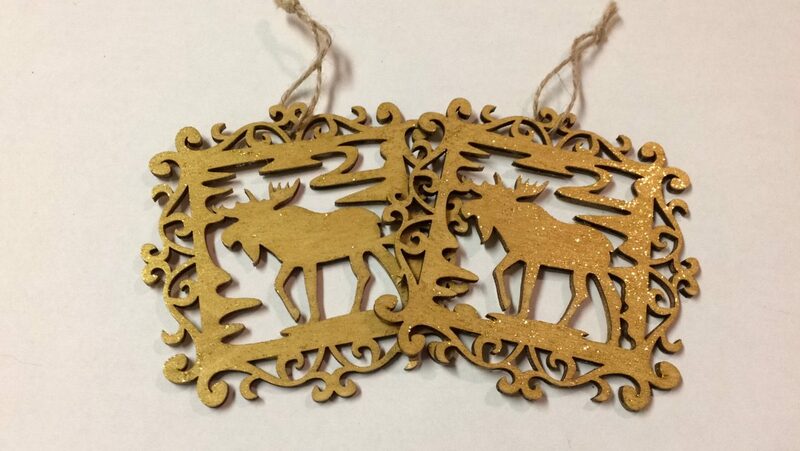 I found these Wooden Moose Ornaments for $0.59 each at Michael’s during their Christmas Sale! 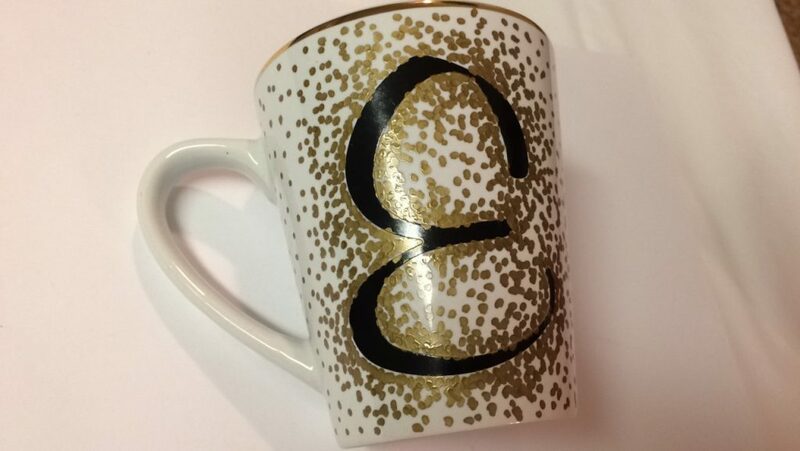 Since I used gold Sharpie on the mugs I decided to paint them gold and add some sparkles. They turned out really cute. This is the fun part! 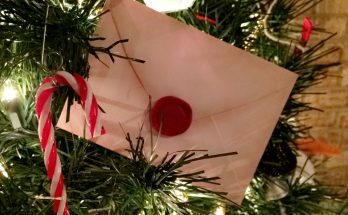 You finally get to put the gift together! 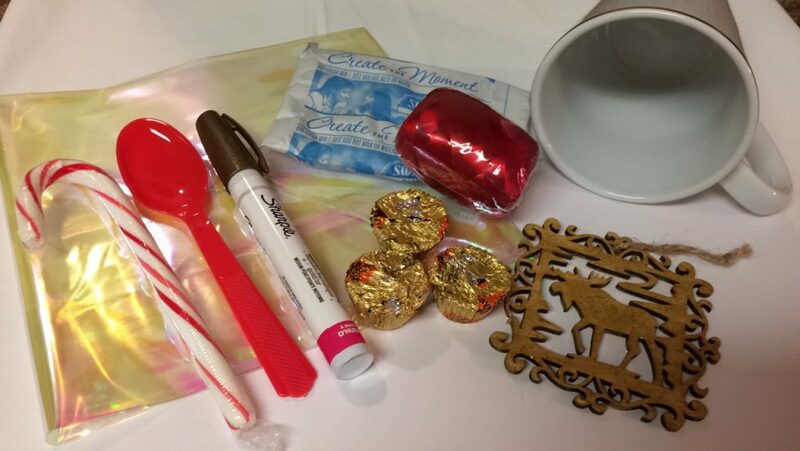 I started by putting the hot chocolate pack in, then the candy cane, the chocolate spoon, and Reese Cups! 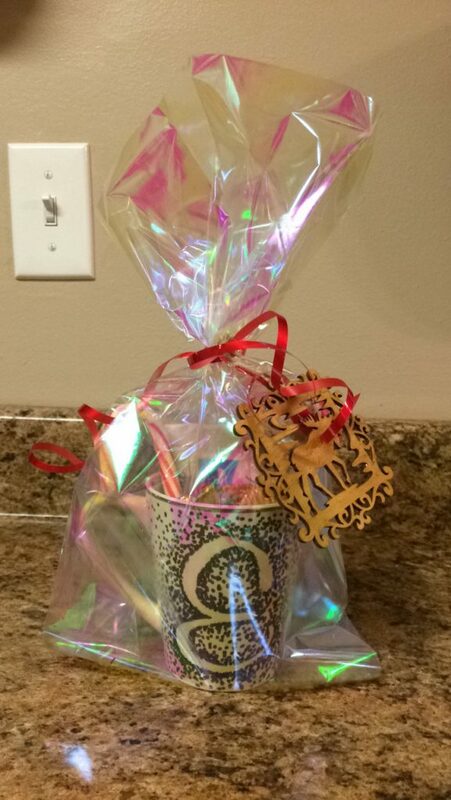 After that you can place the mug inside the bag and tie it up with some ribbon! 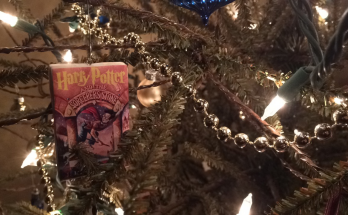 If you made an ornament or have something that you want to hang off of it you can tie that on too! 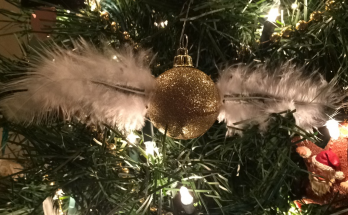 Hopefully this has given you some ideas and inspired you to create one as well! It is such a lovely gift and really is heart warming to receive. Everyone loves a gift made some the heart. If you make one please let me know in the comments below or use the hashtag #hayhaybeans on Instagram!!! Bren! These are so cute and fun!!! You won me over with them! 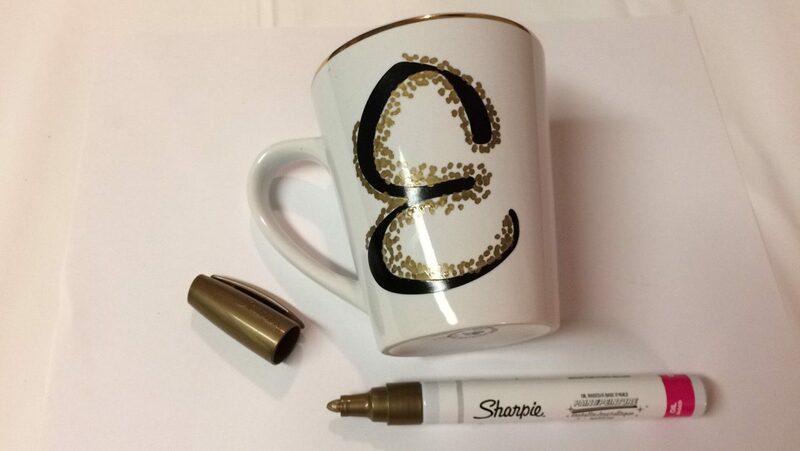 But I gotta tell you, I bought everything needed, markers and the same mugs you used, but I m afraid to try it! Haha!!! I m scared I m going to mess it up! Isn t that silly?! I just re-read the whole tutorial and noticed you mentioned it s easy to clean any mistake with alcohol or vodka with a q-tip, so now I m a little more relaxed about it, but still a bit nervous. 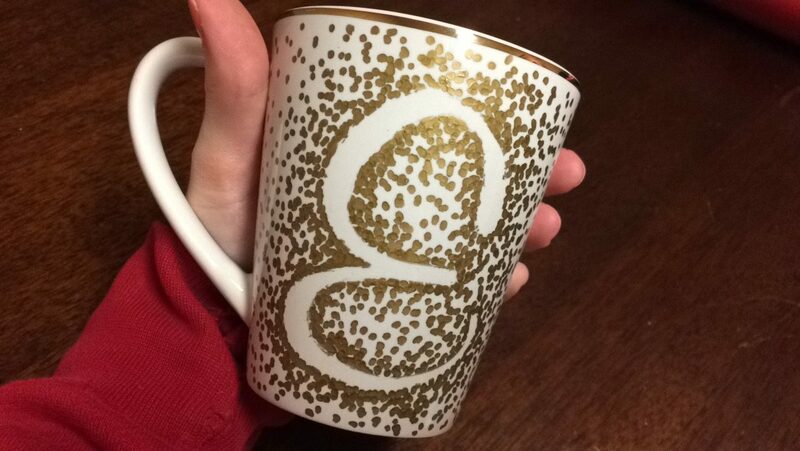 I m taking a shot at it with one of the mugs this weekend (I bought 4). So if anything, it s just one of them and not all 4! lol Wish me luck! I ll let you know how it turns out! Thanks for the inspiration.